Owners of properties are bound by the law to be responsible for accidents that take place in their premises; this covers residential apartments, malls, religious houses and more. However, for reason of its intricacy and the many clauses involved, if you were involved in a slip and fall accident in one of these premises you would need the services of a qualified slip and fall accident attorney to help ensure that the owners of such properties are held accountable by the law. We at Rawa Law Group are here for you. We are a foremost firm of distinguished legal representatives here in Chula Vista, CA. 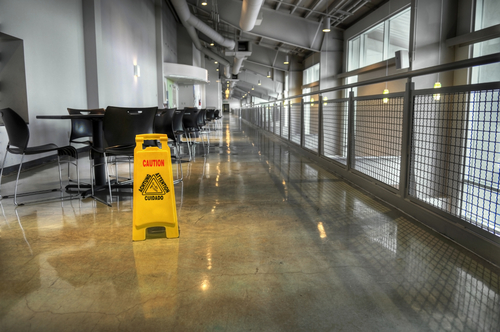 We are well versed with the many axioms bordering a slip and fall claim. We understand the way most property owners try to evade the law and we are committed to helping ensure that you are compensated for your pain and distress. The case of a slip and fall accident is one that requires skill, tactfulness and wisdom. The cause of the fall is often evaluated thoroughly alongside the site where it took place. They would try to make it seem as though the fall was your fault, we are here to properly take out these evaluations and provide guidance to you before and during the court sessions. We will plead your case intelligibly before a jury, ensuring that they see things your way. You are not obligated to make monetary commitments to us before your case is won, payments would only be accepted after you have been fully compensated. So reach out to us today to have a competent slip accident attorney in Chula Vista, CA handle your case.